Most of my trips these days have been through the air. But I still like a good road trip every now and then, and I still remember the road trips we used to take when I was younger. In fact, I did not fly until I was in my late 20’s. So some of my fondest vacation memories were created from the back seat of a Ford. So if you are planning on a road trip soon, maybe you are doing it for the fun of it or maybe it is because air travel can get expensive with a family. Either way, I thought that these tips on saving money on a cross-country road trip would come in handy. By using a little planning and common sense you can get great value for your money since this could still be a big expense. So here are four tips that I have used to save money while traveling, check them out and let me know if you have used any of them. Do you like to camp? You can usually save a lot of money at campgrounds as opposed to hotels. Still want to stay at a hotel? Use a property that you have travel or reward points with when you book. Even if you don’t have the points for discounts yet you will be building for that future trip. Another way you can save on accommodations is to go through a cash back site such as Dubli. We saved around $200 on a week stay in Las Vegas this year. One of the fastest way to eat up the gasoline in your tank is to drive fast. You would be surprised at how much difference there is between 65 mph and 75 mph. And you don’t save that much time with the extra speed. And we all know that gasoline is one of the major expenses on a road trip. Also, keeping your car well-tuned can help save gas and make things run more smoothly. Another big expense on road trips is food. Eating at restaurants can add up quickly, especially with a large family. Why not bring a cooler, fill it with drinks, snacks, and sandwich fixings and stop at a roadside table It can be fun and save money at the same time. You can almost always find discount booklets at hotels and restaurants on the road. You should never have to pay full price for an attraction. Another good source of discounts are sites like Best of Orlando, which offers online discounts specific to a given city. Other discount sites include Groupon and Living Social, just make sure you sign up for the cities you will be visiting so you can receive the discounts. So here are just a few tips on how to save money on a road trip. While I am sure there are many more ways you can find to save while taking a road trip, these have worked well for us. How do you save money on your road trip? This article originally appeared on MoneyNing.com. Some of the fondest memories I have while growing up was of the times we took our family vacations. It seems like in those days it didn’t cost nearly as much to travel and, even though we stayed in mostly budget hotels and ate a lot of fast food and sandwiches, we still had loads of fun. So maybe today you are wanting to create these memories for your family but can’t find the funds to do so. Everyday life gets in the way, kids expenses, house repairs, etc., and the short vacation seems out of reach. But don’t let these things take away potential family memories that will last forever. 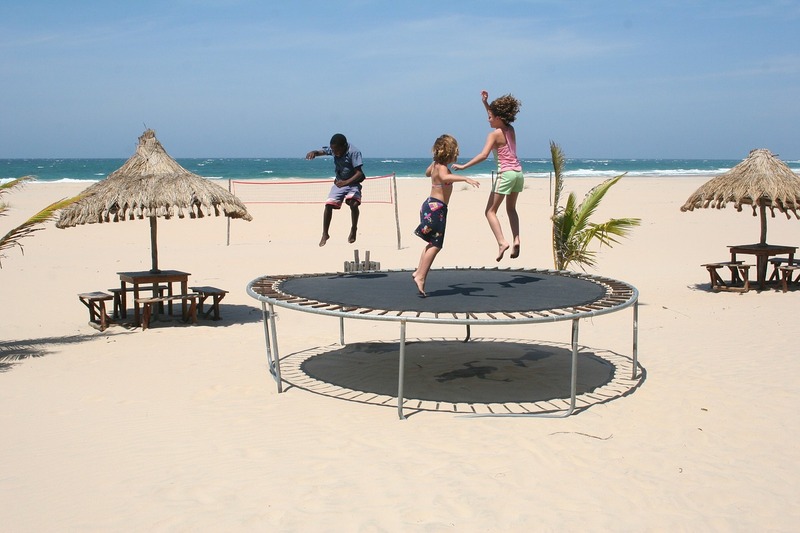 Here are some tips originally posted in Moneyning.com which can help you have your fun family vacations on a budget, and some of these will even become part of the memories themselves! Consider group travel. Have you thought about vacationing with another family (that enjoy spending time with)? You can find that splitting the cost of a cabin or vacation home can many times save over the cost of two hotel room, and you can usually find great, roomy accommodations. Don’t travel during the peak season. Most people travel during the summer because of kids being out of school and the weather being warmer. But if you travel during the off-season you can get much more bang for your buck. Resorts will often give off-season discounts, cruises are much cheaper, and many time you can find travel incentives. Pack your lunch. One of the biggest expenses when traveling is the cost of eating out, especially if you have a larger family. If your kids are like mine they can pack away the food. One thing we have done is to bring a cooler along. When we got to our destination one of the first things we did was hit the local grocery store to get snacks and sandwich materials. We found we could use this to offset at least one meal a day (sometimes two if we had a light breakfast). This always resulted in a huge savings which can be used to do other things or help stay within the budget. Order delivery. Our kids loved pizza and we always had pizza night at least once a week.. Why not have pizza delivered to you hotel room. Our kids actually preferred that since they could stay around the hotel without having to stop what they were doing to get dressed to go out. Find out what the local do. Usually the people who live in the area are glad to share where the best places are to eat and visit. They may even be able to clue you in to specials and discounts that you could find otherwise. So strike up a conversation with the desk clerks, waiters, bartenders, and bellhops. Be friendly and usually people will be friendly in return. These are just on few tip you can try if you are vacationing on a budget. Please let me know if you have other tips or what you think of these. The original article was posted in Moneyning and can be read here. Planning a trip abroad anytime soon? If you are not a savvy traveler, or if it has been a while since you ventured out of the country, there are a few things to do before going overseas that you need to know or be reminded of. These 10 little tips can save you a lot of heartache and grief. These are things that should be done in addition to all of the normal planning such as booking flights, hotels, and transportation. These were originally posted in Fodor’s and I have listed them here for you so hopefully your next international trip can go off hitch-free. Make sure your passport is up to date and see if you need additional visas. Hopefully you aware that you will need an up to date passport to travel overseas. If you don’t have one apply now in case you experience any delays. If you have one and you know where it is check the expiration date. You will want your passport to be valid for at least six months after entering a foreign country. Some countries will let you get away with less; refer to the State Department’s website for full details, organized by country. If its expiration date is near get it renewed before your next overseas trip. Many nations require tourist visas to visit many them. The application process varies greatly from country to country. Check out the State Department’s website if you are an American. That will be the best resource to let you know if you need to apply for a tourist visa. It will be based on the countries that you will visit and how long you plan to stay in each one. You must remember that applying for a visa can sometimes be costly and time-consuming, so get that taken care of as soon as possible. The important thing to keep in mind is not to wait until the last minute as things always seem to take longer than you think. Get your vaccinations up to date and get plenty of your prescription drugs. Before you leave check the Centers for Disease Control and Prevention’s website. Here you will find the most comprehensive and up-to-date medical recommendations and they list health advisories by country. You may need to get special vaccines or medications depending on where you are going. Also, if you on any prescription medication, you need to make sure you have enough to cover the entire time of your travels. You do not want to run out while you’re away. Lastly, and this is important if you’re going to any remote regions, you may want to pack non-prescription medicines (aspirin, etc.) that may be hard to find. See if there are any travel warnings or advisories and make sure to register your trip. Be sure to check out the State Department’s Consular Information Program for Travel Alerts (“short-term events we think you should know about when planning travel to a country”) and Travel Warnings (“We issue a Travel Warning when we want you to consider very carefully whether you should go to a country at all.”) before book your flight and just before you head overseas. Another thing I recommend if to enroll in the Smart Traveler Enrollment Program (STEP). This will allow the State Department to help you in case there are any emergencies. Another wise thing to do is to write down the addresses and phone numbers of any American embassies or consulates in the countries you’ll be visiting. You never know when you will need them. Make backups of all your travel documents. Let’s start with your passport. You should have at least one color copy of your passport’s ID page stored in a safe place away from your passport. While you are at it make copies of any visas connected with your current travels. 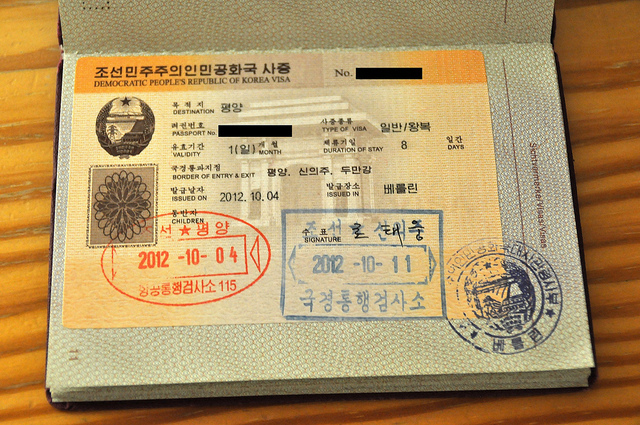 Have copies of hotel reservations, plane and train ticket confirmations, and all other travel documents. You probably have digital copies of these documents handy. If that is the case be sure that these items are saved to your device so that you don’t need an Internet connection to retrieve them. Also keep security in mind. If you have sensitive information (like a scan of your passport) on your phone or in your email inbox, you need to have passwords that are strong enough to keep potential intruders out (hopefully you are already doing this!). Make sure your electronics will work. In case you were not aware, electrical outlets are different all over the world. You’ll need to get adapters that allow your electronic devices to plug into these different sockets. Try to buy an adapter with different settings that adjust to most outlets. That way you only have to worry about one adapter instead of one for every country. Also, check the strength of the electrical current wherever you go. Make sure all of your devices are compatible. Sometimes cell phones and computers are not. If you find your device is not compatible with a higher or lower current, then you’ll need to buy a transformer not bring that device. Lastly, it’s worth investing in portable phone chargers and/or spare batteries that can be charged and swapped into phones, cameras, and other electronics so that your devices can stay up and running during your trip. Learn some of the local lingo. You should always take time to learn the basics such as “Hello,” “Thank you,” and “Where is the bathroom?”, but also be aware that the more you can say in the local tongue, the better. Not only will you endear yourself more to the locals (even though your accent may be horrible) but there could also be times when communication can affect your health and safety. Don’t feel like you can learn any of the language? You can always cheat and have print-outs or flashcards of the phrases you need that you have with you. Credit card providers today are more aware of changes in normal card usage, so before you travel overseas, you might want to notify your bank and credit card providers so they can expect to see the foreign charges. You don’t want them to freeze your cards because you will usually find this out while you are in a shop or trying to pay for dinner. Another thing to be aware of is the exchange rate and also how much things generally cost at your destination so that you can budget yourself accordingly. I would not recommend traveler’s checks. Nowadays they are not widely accepted and the exchange rate is not as favorable as what you’ll find at an ATM. This is generally true anywhere in the world. You need to know about any entrance and exit fees. Even if a country doesn’t require you to obtain a tourist visa, it could levy an entrance and/or exit fee against you. For example, some countries allow U.S. citizens to visit for up to ninety days without a visa, but then levy a “reciprocity fee” which must be paid before entering the country. If you don’t have a copy of the receipt you won’t be allowed in. The Consular Information Program is the most reliable resource for finding out whether a country charges any of these fees; on any country page, look under the Entry, Exit & Visa Requirements tab for complete information. 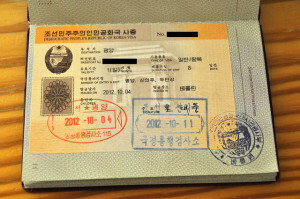 If you are planning on driving, get an International Driving Permit. Thinking of a road trip once you get there? Won’t happen without proper planning. It is illegal to drive without a valid driver’s license and insurance in most countries, and, unfortunately many of them don’t recognize U.S. driver’s licenses. You can usually get insurance from car rental companies, but you’ll need to obtain an International Driving Permit, either from AAA or the National Auto Club for your license. You might also want to get familiar with the local driving laws wherever you plan to drive. You can find the rules and regulations regarding driving from the foreign embassies. Make sure your health insurance policy includes international coverage before you depart. If it doesn’t, you might want to buy a short-term policy that will cover you while you’re away. Travel insurance is also a good idea. It is a smart way to protect your trip and your money. There are many different policies and coverages you can get. 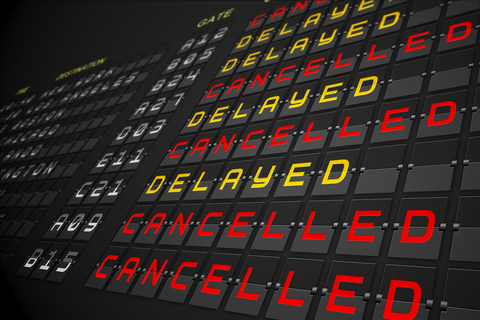 Just make sure that if your trip has to be cancelled, postponed, or cut short for any number of reasons you can have your money refunded . You can view the original article from Fodor’s here. One of the hardest things to me about traveling is finding nice places to eat near me. If you are like me you don’t want to just take the safe choice and go with the old stand-by chain restaurant that can be found on every corner. I want to enjoy some of the local eateries, try new things, maybe have some local cuisine. But how do you know what is tasty and different and has the right ambiance? I have spent countless hours wandering around looking at menus on the outside, many times not venturing inside because I could not make up my mind. I found myself worried that if I try it I will regret it and if I don’t try it I will regret it. Okay, I know what I was doing sounds pretty stupid, but stupid is as stupid does, right? So I came across these 5 tips for finding a good restaurant while traveling and thought I would pass them along. The article was originally posted on the Real Simple site. I have tried some of these and I will tell you it beats walking (or driving) around and trying to guess what a place is like. Just keep in mind what kind of place you need. Do you need kid-friendly or are you solo or a couple and want to go high-end? These tips can work for whatever your situation. Look in the local publications. You can often times find restaurant reviews in the newspapers (have you read a newspaper lately?) and many times you can find local guidebooks or magazines at you hotel. Where do the chef’s eat? Find out who some of the local chefs are. You can often check Twitter or Facebook or even Pinterest amd Instagram. Many chefs love to post about their dining experiences and who better to judge? Try following some of them and see what they enjoy. Do you follow blogs by foodies? There are many food blogs out there. Find a few that match your tastes and you will probably find out their dining establishment choices. 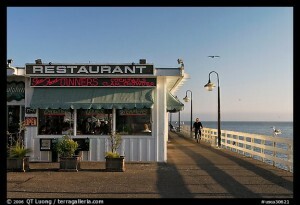 You can also get tips from some of the television travel show hosts as they often seek out the authentic eateries. Don’t be afraid to check out national publications and websites. If you want the opinion of someone who is devoted to finding the best places to eat, look at the food and travel writers. It’s is not only their livelihood but also their passion. They have visited many places and only feature what they feel is worth visiting. See what the locals say. Find a safe place you know you will like and make friends with bartender, waiters, or chefs. These people usually have the inside scoop on everything from the fanciest restaurants to cheap diners. So if you like to eat good food during your travels, do some research before you leave. But don’t be afraid to just stumble into something. Many times a place not listed anywhere can be the best place around. See what the locals are doing. If it is busy and the food is looking good take a chance (and don’t have any regrets). It’s great to go to that unexpected place and just say “Why not?”. It can turn out to be what you remember most about your eating experiences (and if you are like us, you love to eat!). Read the original article on Real Simple. In a previous post we had listed the prices for theme parks in Florida. In it we mentioned LEGOLAND. I came to the realization that many of you might not be as familiar with LEGOLAND as you are with Disney (since everyone talks about them) or even Busch Gardens since it has been around for a pretty long time. I thought I would post a video showing some of what you could expect if you decide to go there. It is a nice place to take the kids and it’s not quite as expensive as Disney, so if you are planning a vacation on a budget this might help you out. It has it’s own hotel so you can immerse yourself in the experience much like it’s bigger brother up the road. I will probably do another post breaking down what there is for each age group of kids to help you if you want to take the whole family, as there is something for all ages. So enjoy the video trip and stay tuned for more. Do you suffer from travel anxiety? That is, do you find yourself worrying about all the things that could go wrong? Try these 8 pre-flight tips suggested by Real Simple to help you learn how to overcome travel anxiety and let you focus on how you are going to enjoy your trip instead. Keep Tabs on Your Flight. Make sure you sign up for text and e-mail alerts for your flight with an online flight-tracking service. You should not depend on your airline to let you know when there’s a problem. Services such as Flight-Stats (free, Android, iOs) or Triplt Pro ($49 a year, Android, iOs), can help you keep up with flight alerts. 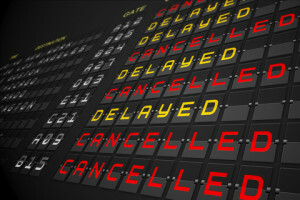 Another worry people comonly have is that a flight delay or cancellation will ruin a vacation. 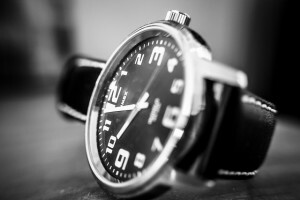 You can get flight insurance such as Berkshire Hath-away’s AirCare insurance ($34, bhtp.com) which will reimburse you $50 for a delay of more than two hours, $100 if you miss a connection due to a delay, and $500 if your bag goes missing for more than 12 hours. The great thing about this company is that it tracks flight status automatically and makes payments directly to a PayPal account or a debit card. Get the Seat You Want. So you are not going to spend that extra cash to get that premium economy seat or a prime aisle seat ahead of time? Okay, just sign up with ExpertFlyer.com. They will alert you when the seat you want becomes free. Then you just log on and grab it. SearGuru.com provides cabin maps which can help you find your prime seat. Another big worry people have is jet lag. 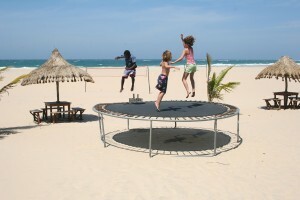 Alleviate those fears by following a personalized schedule for your itinerary at StopJetLag.com. They can provide you with an hour-by-hour plan that includes when to eat, rest, exercise, and get sun exposure so when you reach your destination you will be right in sync with your destination’s local time. One thing you should really do to keep from worrying so much about long lines at security (or taking off your shoes, you know the drill) is to sign up for TSA PreCheck ($85 for five years, tsa.gov). This will expedite you through security in more than 150 U.S. airports. And if you are going international you can become a member of U.S. Customs and Border Protection’s Global Entry program ($100 for five years, cbp.gov) and you’ll get PreCheck and you will be able to zip through U.S. customs. Is my Carry-on Too Big? There is a 22-by-14-by-9-inch size limit for carry-ons which has not always been strictly adhered to. However, many domestic carriers are now starting to enforce this rule. And many bags advertised as carry-ons do not mee this criteriat . If you want to avoid gate checking (and paying) for a bag, visit the airline’s website where you can find out the size restrictions before you leave. And then make sure you carry-on is regulation-size. To meet TSA requirements you must limit liquids, gels, and aerosols to 3.4 ounces or less and place them in a one-quart clear plastic zip-top bag in your carry-on. You can go to 3floz.com to find TSA-approved mini containers of more than 60 brands. In other words, dree properly. If you want to move through airports with ease and finish your flight wrinkle-free, stick with the wrinkle resistant fabrics, such as knits, jersey, and stretch denim. For those who are cold-natured, a cashmere wrap or sweater is a life saver. Also, a comfortable pair of slip-on shoes will help you speed through security (if you didn’t follow number 5 and get PreCheck!).. If you are going to visit any of the major theme parks in Florida or California this summer (think Disney, Universal, etc.) then you may want to count the cost before you go. Here is a quick guide to what it is going to cost you. Yes, the ticket prices continue to rise but if you check the multi-day packages you can find yourself saving money on your vacation. Tickets to the Magic Kingdom cost $105 plus tax for a one-day adult, for children ages 3 to 9 it’s $99 plus tax. If you are going to Epcot, Animal Kingdom or Disney’s Hollywood Studios the price for adult admission (one day) is $97 per person, plus tax. For chisldren agese 3 to 9 the cost is $91, plus tax. Kids under age 3 can enter at no cost. For Typhoon Lagoon and Blizzard Beach the one-day admission is $58 for ages 10 and older, and $50 for children ages 3 to 9. If you want to take advantage of the Park Hopper options you will find that the prices begin to get more confusing as you add more dates and options. If you get additional days they will be specific for one park,. If you want to explore different parks, you’ll have to add those to the park hopper prices. For multi-day passes the prices are the same, regardless of park.. The two-day tickets cost $192 for ages 10 and older, and $179 for ages 3 to 9. If you want a three-day ticket it will cost you $275 and $256, and if you go for the four-day ticket the prices are $305 and $285. Five-day tickets are $315 and $295. As you can see, if you go for the longer visits you will pay less per day, and if you choose the five-day option the ticket prices drop to $63 for adults per day. So the most expensive item will be a five-day hopper with water park access where you will wind up paying $765. Now if you want to be able to hop parks you will need to add $64 to the original cost. To visit the Disney water parks along with one park, add $64. If you want to visit all parks, including the water parks, add $90. Another expense will be parking. By staying at a Disney World Resort Hotel, you can benefit from the complimentary shuttles that operate during park hours, as well as free parking with a valid Key to the World Card or Resort Parking Permit. Not staying at the resort? The price for parking your car will be one fee of $17 for all theme parks per day. Parking at the water parks and Downtown Disney is free. One-day tickets for just LEGOLAND are $89 for ages 13 and older, and $82 for children ages 3 to 12 and seniors 65 and older. In case you want to visit the park and the water park together the costs are $104 and $97, respectively. You can save with multi-day passes with a two-day pass for LEGOLAND costing $104 and $97, respectively, or $119 and $112 if you want to add the water park. Children under 3 are free. So the most expensive item will be a two-day pass with water park access for $119. The cost of parking will cost $17 per day. If you want to park closer (preferred parking) the price is $22 per day. The Universal Orlando Resort is comprised of Islands of Adventure and Universal Studios. My advice is to visit both. If you want to see both areas of the Wizarding World of Harry Potter you’ll need park-to-park admission. Hogwarts Express travels to both parks. For a single park the admission is $102 for adults and $197 for children. To visit both parks, the price rises to $147 and $142, respectively. Fortunately, children 2 and younger are free. If you are going to add additional days you will find that two-day single-park passes are $150 for adults and $140 for children. For three days the prices are $170 and $150 and four days will cost $170 and $160. In case you want to see both parks on multiple dates, plan on paying $195 per adult for two days, with children costing $185. The three day prices go up to $205 and $195, and for four days you will find yourself paying $215 and $205. Another feature you can purchase is an unlimited Express Pass that allows you to jump to the front of the line on participating rides and attractions throughout the day. The prices start at $50 for one-park and $60 for two parks. The parks also offer VIP Experiences. This allows guests to have front-of-the-line priority, behind the scene tours, complimentary valet parking, breakfast daily, reserved seating at shows and exclusive viewing areas for evening shows and parades. The prices start at $329 for a one-day, one-day, non-peak ticket. So the most expensive item will be a four day, two-park, Express Pass admission for $455. The cost of parking is $17 for Universal, the preferred parking package will run you $25. For a premium, valet parking is available. 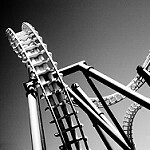 Since I have always liked Busch Gardens, I will mention their prices as well. It is easy to head west to Tampa’s Busch Gardens location. If you’re planning to visit Busch Gardens, a single-day ticket will cost $97 for ages 3 and older. For children 2 and younger there is no cost. On weekdays the ticket prices are lower. By becoming a Pass Member (especially if you live in the area) you can save money. So your maximum cost is $97 per day. Parking costs at Busch Gardens are $17. If you want preferred the price is $22. 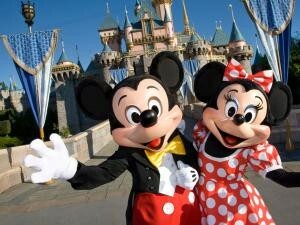 In California, Disneyland and Disney’s California Adventure one-day tickets will cost you $99, before taxes. Children ages 3 to 9 are $93. Children under 3 are free. Going with the two-day tickets option the costs are $185 for ages 10 and older, and $172 for ages 3 to 9. The three-day ticket option will cost you $235 and $224; four-day tickets cost $260 and $245; and five-day ticket prices are $275 and $259. As with Disney World, you’ll save more when you purchase more days. By going with the five-day option the ticket prices drop to $55 per day. However, if you want to visit both Disneyland and California Adventure the cost is an additional $40, regardless of age or number of days. A five-day park hopper pass will cost you $475. Parking costs at Disneyland and California Adventure are $17 per day. One-day tickets for LEGOLAND are $89 for ages 13 and older, and $83 for children ages 3 to 12. If you want to add the Water Park or SEA LIFE attractions the price goes up to $92 and $86, respectively. To shoot the works and see all three attractions the cost will be $113 or $107, respectively. So the most expensive item will be a three-park pass that will cost you $113 for one day. Parking is going to cost you $15 per day, with the closer, preferred parking costing an extra $10 per day. Unlike it’s Florida counterpart, Universal Studios Hollywood offers only one park with one price for kids and adults. This makes it much simpler in terms of ticket prices. A one-day ticket costs $95 per person. Kids 3 and under are free. Two-day ticket prices change with age, so you will pay $119 for ages 10 and older and $111 for children ages 3 to 9. The park does have Front of the Line tickets where you can get just one-time priority access to each ride, show and attraction during your visit. The price for these tickets are $189. They also have VIP Experience available, where you get escorted priority access to all rides and attractions and behind-the-scenes visits to closed sets on the studio’s back lot. These are only available to guests ages 5 and older and start at $329, depending on date. So the most expensive item will be $329 for one-day, VIP access. The cost of parking is $17, but it will go up to $25 for preferred parking and $40 for parking spots closest to the gates. This article originally appeared in Family Vacation Critic and can be read here. I am always on the lookout for ways to save money while traveling and I have come across many inventive ways that people have used to save a dime here and a dollar there. 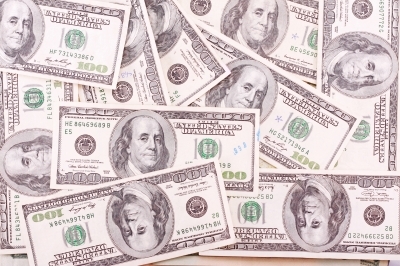 Of course, dimes and dollars add up so I try to share every tip that I find that might be of use to you. So If you are budget constrained or are just looking for different ways to save while traveling, check out these 4 tips originally published in Bankrate .Some of these are things most people would not realize existed and some of them I have seen in other forms before ( such as planning your meals, this can be a big money saver). So if you find yourself in a position to try one or more of these tips please give them a try. I would like to know how it worked for you since, like you. I would like to save as much as I can and still do the things I want to do. Please share your comments if you have tried these before. Ninety-five percent of the people I know will book their reservations online,” says Peter Greenberg, CBS News travel editor and founder of PeterGreenberg.com. Whether you’re searching flights, hotel rooms or cruises, “only about 52 percent of the available inventory is online,” he says. So you’re missing out on almost half of your options. Better move: Research online, and then pick up the phone, says Greenberg. Whether you call the airline, hotel or cruise line directly (or opt for a travel agent), that person has “access to stuff that’s not online,” he says. The conversation costs you nothing and, when you find a better deal, you can save as much as “40 to 50 percent,” Greenberg says. Using online sites to search or buy travel deals? When you’re ready to buy, visit the site from a different device, Greenberg advises. The reason: Travel sites often track your visits, and prices frequently increase with successive site visits, he’s found. But you throw a monkey wrench in the system when you visit from a different computer. Laptop and tablet tied into the same router? Use a computer from work instead, or borrow a friend’s tablet or laptop. Visiting a city with great public transit, like San Francisco, London or Paris? If you’re traveling with kids or seniors, forgo the ticket machines and talk with a real live person behind a counter or kiosk, says Cynthia Ochterbeck, editorial director for Michelin Travel Partner. “They usually have very reduced-rate transit cards for students and seniors,” she says. And the price can be half of what you would pay if you just hit an automated machine for full-priced tickets, she says. Maximize your time and your money: Eat a big breakfast and a nice dinner, says Ochterbeck. In between, grab a couple of light snacks or a dessert as you go. Or flip it: Make the second big meal a late lunch, and enjoy “a room picnic for dinner,” she says. Read the original article at Bankrate. If you have ever taken the family in a long road trip you know that it doesn’t take long for every to get a little cranky. Of course these days with the electronic world of music, games and movies, kids (and adults) go all go into their own little worlds. But wouldn’t it be more fun to generate a little interaction, maybe have a little family time? I mean, even at home with older kids family can rarely be all together and have social interaction. Here are some things inspired by USA Today you can do on that long road trip to help keeps the kids entertained and even the driver can get in on the action. One thing you can do which we couldn’t as kid is to use audiobooks. These could be a great way to pass the time. 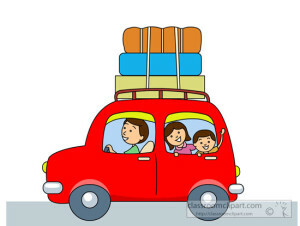 It dowsn’t matter whether you’re driving alone or if the whole family is packed into the car. Two highly recommended series are the Harry Potter series and the Paddington Bear collection. These can help keep kids quiet and interested for long periods. If you have teens in the car let them pick some of the audiobooks they like. You can check these out from your local library and play them on several different devices, so it woon’t cost you anything. The key is finding out what everyone likes so they will stay interested. There are lots of games we used to play when I was a kid on a road trip. Re-introduce them to your family. The license plate game is one we used to have fun with, just make sure you have pens and plenty of paper for scoring those states that you spot. Another game was travel bingo where you would look for certain objects to complete your ‘bingo’. The old ‘I Spy’ or the similar ’20 questions’ are always good as they make everyone think. Try to make up memory games so everyone has to remember what was said or seen. There are many possibilities and time will pass before you know it. Since younger children have shorter attention spans, you need to find different activities for them, like coloring; or playing the easier games (like travel bingo). The bingo cards can be done in advance so the little ones can have something to do with their hands while they look for items along the highway. If they are younger make sure you help them so there is no frustration. Another trick you could try would be to print basic highway maps from the Internet and mark certain spots along the way. If they get to a spot without acting up, you can let them have a goodie or surprise. Be creative. Nowadays, with cell phones, tablets, and portable video game consoles, families hardly ever have time to talk to one another. Use this time to see what’s happening with everone. You don’t necessarily need to have deep discussions. Just talks about likes and dislikes, what’s going on with their friends, or whatever matters to them. You may find that your teens will love to tell you about these thing. Laughing and joking are always good, and I have found that once you get the humor rolling it is contagious. I remember those times as some of the best I have had with my family. If you try theses methods you can find that all day trip can go by quickly and pleasantly. You still need to stop frequently, especially with younger children, but they will look forward to getting back on the road if you can keep it fun! Original article appeared in USA Today and can be read here. 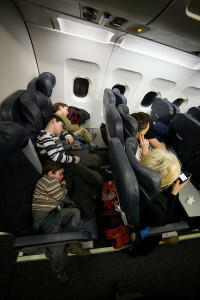 If you are a frequent flyer but haven't yet mastered the are of sleeping on the plane then these tips from John E. DiScala, the editor in chief of the travel-information site johnnyjet.com could help. He would definitely know something about the subject as he takes more than 100 flights a year on 30 different airlines. So if you are getting ready to fly that red-eye to the west coast (or wherever) then pay attention. This could be a lifesaver. 1) I'm flying coach - where should I sit? You may think just because you are flying coach there is no way to get comfortable. Try this: Take the window seat of an exit row. You won’t be disturbed when your neighbors get up and down, and you have the window as a head rest. There is also extra legroom so you can use your carry-on as a footrest. Do not sit near the bathrooms or flight attendant stations. You will find that people tend to hang out there and it can get noisy and cramped. Also ,if you plan to sleep on your flight, try to go online the day of the flight to see if you can change your seat to an empty row. That would be the ultimate comfort. If you can fly at a less than popular time, usually a Tuesday or Wednesday night, you will have a much better chance at this. 2) Do I Need any Special Sleeping Products? Some people swear by a travel pillow. It can help if you’re in a middle or aisle seat. Another option is to wear an eye mask and use earplugs. Many people (myself included) travel with noise-canceling headphones. These come in quite handy since there is almost always a crying baby nearby, You can wear earplugs and put the headphones on top. Then you can play some soothing music or an audio book. This combination usually drowns out everything. I can find myself drifting off very quickly using this method. Another thing that I never do is use an airplane blanket. You are better off bringing your own blanket or a sweatshirt. 'Nuff said. (We will talk about airplane blankets another time). 3) How Should I Dress for Night Travel? If you have a long flight and you are in coach you might try this trick: bring pajama bottoms and change into them after take off. Now I know many of you won't go for that but one thing you can do is wear sweatpants. If you tend to get cold during flights you might also bring a pair of warm socks to slip on before trying to sleep and make sure you have your blanket or sweatshirt (see above). 4) I Don't Want to be Bothered - What Can I Do? Make sure you get your snack and water before you try to drift off and make sure you take care of the bathroom business. Another trick some people do is to buckle their seat belt over their blanket or sweater, not under it. Where there is turbulence and the flight attendant checks she can see that you’re safely buckled and won't bother you. 5) How Can I Make Myself Drowsy? Original article posted at realsimple. Can’t Afford to Fly First-Class? Here are Your Best Coach Options. If you are trying to determine the best airline, you can find many reviews and write-ups about the many amenities provided by each airline. The problem is that many of these are based on the first-class fares and they really don’t say too much about the coach offerings (with good reason). If you have flown coach before you know that it can usually range from miserable to tolerable at best. So given that, here is an article by USA Today which ranks the ‘best’ coach or economy airline offerings. Check these out and feel free to comment if you disagree or would like to share your favorite economy airline product. Even after the current downgrading, JetBlue’s extra legroom still beats any other airline. The de facto charge for a checked bag, at $15 over the minimum fare, is less than on most other airlines. The satellite-based Wi-Fi is free, at slow speeds, and $9 an hour for enough bandwidth to stream movies. And seats in JetBlue’s Airbus planes are an inch wider than on any competitors’ 737s. Its “two checked bags at no extra charge” and “no ticket-change penalty” policies make Southwest a clear winner for being nice to customers. Fortunately, at least so far, Southwest seems to have convinced Wall Street that those passenger-friendly policies gain more revenue in total customers than it would gain by imposing fees and losing customers. With other giant carriers charging checked bag fees of $25 a pop, even one checked bag gives Southwest a $50 round-trip fare advantage. At least for now, Alaska Airlines’ Mileage Plan seems more generous than the big-line programs that are moving toward dollar-based earnings and rewards. You still get one mile for every mile flown, and the award chart mileage requirements are less than the effective requirements on the giant airlines. Alaska still has useful partnerships with Air France/KLM, American, British Airways, Delta, Korean, Qantas and a few others. We don’t know how long Alaska will retain its current system, but it’s a winner as long as today’s rules remain. If you accumulate miles or points through a credit card that allows transfers, such as American Express, the award chart for Air Canada’s Aeroplan is more generous than current big lines’ plans. But you get only partial mileage credit when you fly on Air Canada’s lowest fares. 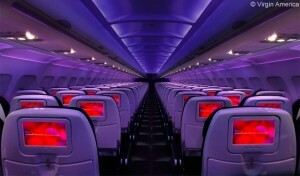 Yes, JetBlue beats it by the measurements, but Virgin America keeps earning great survey ratings for its flashy decor, well-trained flight attendants, top in-flight technology and general flair. Obviously, lots of travelers like what it has to offer. You might like it, too. The “Branson cool factor” also applies to Virgin Atlantic and Virgin Australia. The nod for best ultra-low-fare carrier for coach-class service goes to Allegiant, not because of its base product — which is down there with Spirit in terms of sheer torture — but because it alone brings the only low-fare mainline service to dozens of communities where travelers would otherwise have to rely on regional flights to nearby hubs, with the usual hassle, wasted time and high fares of hub connections. Allegiant’s “nowhere to somewhere” business model gives travelers to/from communities as small as Hagerstown, Missoula, Owensboro, Provo, South Bend and Stockton access to non-stop flights to 16 of the country’s primary leisure travel destinations, including Honolulu, Las Vegas, Myrtle Beach, Orlando and Phoenix. If you live in or near a big city, you’d never even think about Allegiant. But it’s a no-brainer if you live in the sticks. Southwest is the only airline to offer useful senior fares for travelers 65 or over. Senior fares aren’t as low as Southwest’s initial lowest “Wanna Get Away” fares for travelers of any age, but when those lowest-fare buckets sell out or when they’re no longer available less than a week in advance, Southwest’s unrestricted senior fares are usually a lot less than any remaining any-age fares. Japan Airlines’ new-design Sky Wider economy seats provide the roomiest international economy class you can currently find. Contrary to what most other airlines are doing, JAL is sticking with eight-across seats in its 787s and nine-across in its 777s. That’s one fewer seat in each row than the current standard among most other lines, and the remaining seats are almost two inches wider than competitors’ seats. Norwegian flies 787s from a handful of U.S. cities to Scandinavia and from Los Angeles or New York to London/Gatwick. It recently started flying from Baltimore, Boston and New York to Guadeloupe and Martinique. Fares are usually — although not always — lower than on the giant airlines, and its 787 product is on par with what the big competitors offer. The giant airlines will charge you around $1,200 for a non-stop summer round-trip flight between New York and Paris in a cattle-car economy cabin. But two people paying $1,495 each can move up to an angle-flat business-class seat, with business-class cabin service, on La Compagnie, the niche French airline offering low-cost business-class service from Newark to London/Luton and Paris/DeGaulle. La Compagnie’s current fare is almost $1,000 less than the premium economy fares on Open Skies or Air France. The price gap between regular economy and La Compagnie isn’t always this small. But whenever it is, you sure feel better when you arrive in London or Paris after an overnight in business class than in economy. It’s worth considering. The Embraer 170/175/190/195 series might seem a surprise call, but seats are at least as wide as on A320 series, and they’re all two-by-two, with no middles. You never feel bottled up the way those 737s and A320s make you feel. And while it’s not technically an airline, this aircraft makes the list because you should look for it when searching for any short-haul coach-class flight.